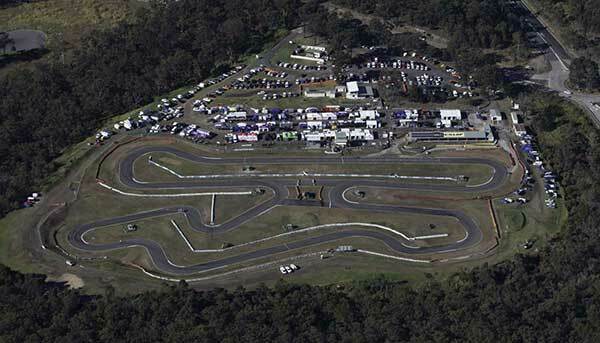 Newcastle Kart Racing Club has announced a new deal for the use of its circuit during the week. The Go Karts Go business has been running private and corporate rental karting at the Cameron Park facility on Monday to Wednesday. GKG’s new deal with the club will now see them run the track Monday to Friday. The club has published guidelines (below) about how this will affect its members as the Monday-to-Friday practice sessions are outside of Karting Australia jurisdiction. Track will be available for practice 7 days per week. Standard Track Hours apply 9am – 4:30pm. NKRC will run practice sessions on weekends as normal. If track is unavailable for Practice due to large corporate day with GKG, then this will be advised via the Club calendar on the club’s website. Practice on Mon-Fri are not Karting Australia/Karting NSW sanctioned events. Upon arrival before going on track every driver needs to come over to GKG building (located behind the In Grid) and fill out all required details, once entered they are stored on our system so next time they come the driver can just be looked up by name. Any club members MUST show their club membership Card and anyone under the age of 16 must have a valid and current KA License and a parent present at all times. For anyone under the age of 16 a parent will need to sign a Guardian Consent Form. In the event of rain please contact GKG to confirm track availability. GKG hire kart sessions usually last for approx 15min. We will keep members informed of when our sessions are occurring and maximize members track time by putting them out between hire kart sessions. Practice will be run in the track direction the club will be using at the next race meeting. Entering/exiting the track works in the exact same way as the club practice days. For a parent/guardian to enter the track they must be wearing high-Vis and be standing inside a flag point at all times. Crossing the track or leaving a flag point until the session has finished and a GKG staff member is satisfied it is safe to do so. Tow vehicles are allowed in the pit area but any cars not used for the purpose of transporting karts is to be parked in the top car park. Most importantly at all times we wish to promote a fun, friendly day of karting and the chance for all club members to be able to have access to this amazing facility 7 days a week.